However, it turns out that the third item in this list could be something much more terrifying than the stated. A recent 2016 study published in The British Medical Journal points out that hospital medical errors could have resulted in 251,000 deaths in 2013: way ahead of lower respiratory diseases, but still behind cancer. The REAL top third cause. Medical error has been defined as an unintended act (whether of commission or omission) or one that does not achieve its intended outcome. Any preventable event, whether or not it is evident or harmful to the patient, that may lead to inappropriate medication use, while the medication or treatment is in the control of the health care professional, patient or consumer. Medical errors are not just confined to surgery blotch-up. Medical errors include mistakes in medication administration (too much, too little, wrong prescription, given to the wrong patient), wrong diagnosis, physician’s error, medical actions that did not produce the intended benefit for the patients, and the list goes on. A Look At The Numbers: How Big Is The Problem? Truth is, we don’t know how great is the real death toll. 251,000 in 2013 is just an estimate based on retrospective analysis. The real numbers could be even higher! Shocking? Definitely! Surprising? Not really! 251,000 people died from causes that are completely preventable and that may have nothing to do with their diseases. A bigger number may not even be reported—fatal errors that lead to injury, permanent damage but not death. This is just one simple case of a life destroyed by medical error. The root of this sad situation is that medical errors aren’t included in any rankings of death causes, leaving little to no chance for precise statistics. To a great extent, this is because the death certificate requires an ICD (International Classification of Diseases) code to be stated as the cause of death, and the ICD has no code for medical errors, lack of skill, or communication breakdown. John James, PhD, became involved in the movement to bring greater attention to patient safety and rampant medical errors by way of tragedy. In 2002, Dr. James lost his 19-year-old son as a result of problematic care provided by cardiologists at a hospital in central Texas. Dr James highlighted that many of the deaths resulting from non-evidence-based care in hospitals do not occur while the patient is hospitalized. In fact, lives are shortened long after discharge and go unrecognized. His published literature estimated 440,000 preventable adverse events that contribute to patient death due to preventable adverse events each year. Are You Safe In The Hands Of The Medical System? It’s frightening to think that it may no longer be safe to trust your body and health in the hands of the medical system. This even violates the good intention of the dedicated people who spent many years studying to enter the system to save lives, in order to become someone that patients can trust. It is a very different world. Gone are the days when doctors had genuine relationships with their patients and their families. They used to know about their patients’ family events—good or bad. They talked to their patients about their diet and their lifestyle. They advise and comfort family members. Sadly, medical errors are not something that you can completely avoid when you entrust your health to the system. Don’t get me wrong, there are times when lives are saved. I’m not saying that it’s all bad, just that the risks are too high! At the end of the day, the only thing that is within your control in this situation, is to protect yourself as much as you can. Learn as much as possible about your condition or concern, as well as the approaches (conventional and alternative) that are used to treat it. When you reach out to a doctor for help, make sure that you both hear and understand each other clearly. Treatment is no place for misunderstanding and secrets: be open and honest, and demand the same from your physician. Potential safety. Whenever a procedure, medication, or manipulation is offered for the treatment of your condition, make sure to dig into the smallest details and check all of them for safety and potential alternatives. For example, what is the point of going for surgery if you can opt for spinal manipulation? Or take heavy medications when an herb could do the trick? Learn first, then make a well-informed choice. Use a healthcare organization that has been carefully checked out. The fundamentals listed above are aimed at providing the patient with as much information and support as possible, making him or her universally aware of everything that would be going throughout the treatment. Regardless of whether you choose to go for conventional treatment or seek relief from holistic treatment, the SPEAK UP algorithm will undoubtedly help you in achieving the best results possible. Holistic Treatment—A Valid And Safer Alternative? Holistic therapy takes care of your body as a whole, aiming to heal all of its aspects. By supporting all systems and organs, holistic treatment minimizes the chances of a drastic breakdown that could result in death or serious injury, even when a medical error is committed. Holistic healing rarely resorts to drastic moves, unlike conventional medicine with all of its invasive surgeries, radioactive treatment, and heavy synthetic drugs. 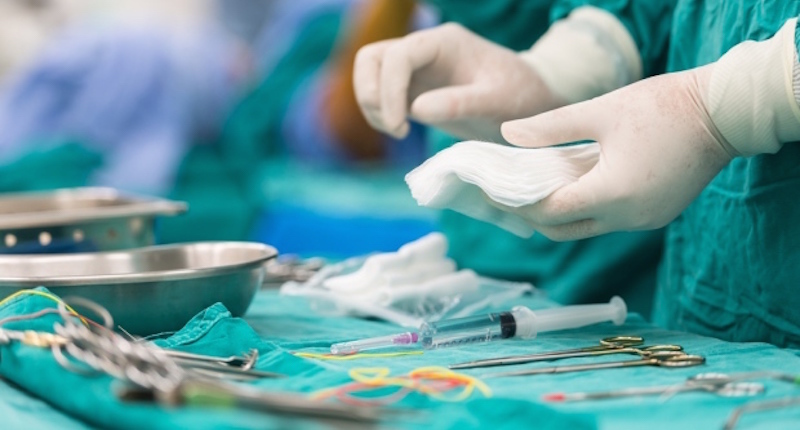 Most of the procedures, although highly effective, are still gentle and mild, and that’s why medical errors are significantly alleviated in holistic treatment. Incidences of overdose are rare. Blunders are almost non-existent as it is almost impossible to go wrong with natural healing that targets to aid your body in self-healing. Holistic therapy experts devote a lot of time and effort in learning as much as possible about their patients, their medical history, and even the smallest details of their current state. Prescription of herbs, supplements often are helpful for the entire body, excess are often purged out by the body or stored for future use. Unlike medications and drugs that get lodged in the liver causing other side effects. Of course, not all conditions can be healed with alternative and safe methods. For example, an open bone fracture can be helped and healed with medical intervention. This is just one example, but the point here is that you have to actually get in touch with a professional to discuss which therapy approaches are valid in your specific case. Medical errors are a terrible thing, and no one can expect to be 100% safe from them. What you CAN do, however, is to learn as much as possible about everything related to your condition, symptoms, possible treatments, and most probable outcomes. Even though holistic treatment is generally much more sparing and safer than conventional therapies, this is still something essential for the success of your healing: learn, communicate, and apply the best option.